Washington offensive tackle Kaleb McGary has drawn the interest of the Bills, and many other teams. According to the Houston Chornicle's Aaron Wilson, McGary has private meetings or workouts and visits with the Eagles, Bills, Saints, Falcons, Chargers, Colts, Cardinals, Panthers, Jaguars, Patriots, Green Bay, Redskins, Giants and Vikings. 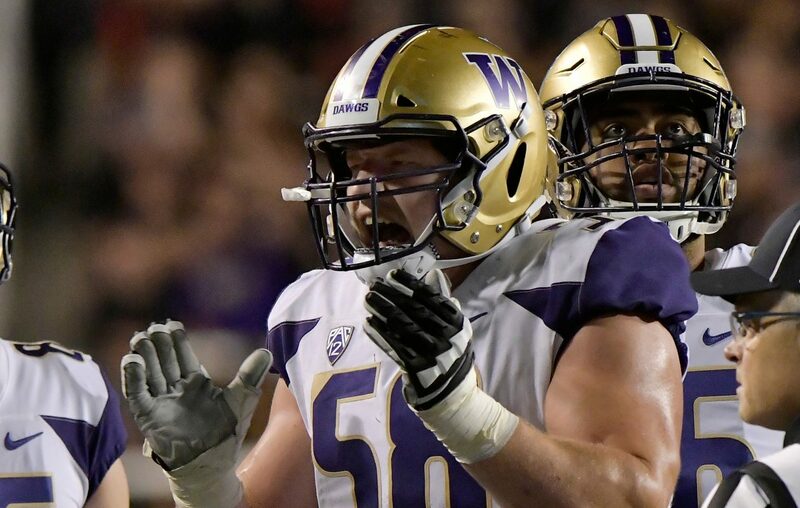 McGary, projected as a second-round pick who could move into Round 1, is expected to be among the main attractions at Washington's Pro Day on Monday. Listed at 6-7 and 317 pounds, McGary won the Morris Trophy as the Pac-12's top offensive or defensive lineman. He started all 14 games at right tackle last season and is a two-time all-conference selection. McGary could move inside once he reaches the NFL.